Christopher Sheklian, a doctoral candidate in anthropology at the University of Chicago, will be the featured speaker at the annual commemoration of St. Vartan and His Companions (Վարդանանց / Vartanants) on Thursday, February 12 in the Kavookjian Hall of the Armenian Diocese in New York. The Zohrab Information Center is co-sponsoring the event with St. Vartan Armenian Cathedral, with the participation of the Mid-Atlantic Knights and Daughters of Vartan. Anthropologists study culture and since the adoption of Christianity, the Christian faith and the institutions of the Armenian Church have become part of the very fabric of Armenian culture. But if the Armenian Church is reduced merely to one element of Armenian culture among others, what is the place of faith, devotion, and liturgy? Nowhere, perhaps, is this conundrum most obvious than in competing memories over St. Vartan and the Battle of Avarayr. Was St. Vartan fighting for the existence of the Armenian nation? Or was he a consummate defender of the faith? Can we separate these two things? Moreover, the way we remember and commemorate St. Vartan speaks to the way we ourselves think about the connection between faith and nation. How we remember St. Vartan is not merely a historical matter. To fully grapple with the memory of St. Vartan is to take on the fundamental question of the Armenian nation: its relationship to its Christian faith in the salvation of Christ Jesus. 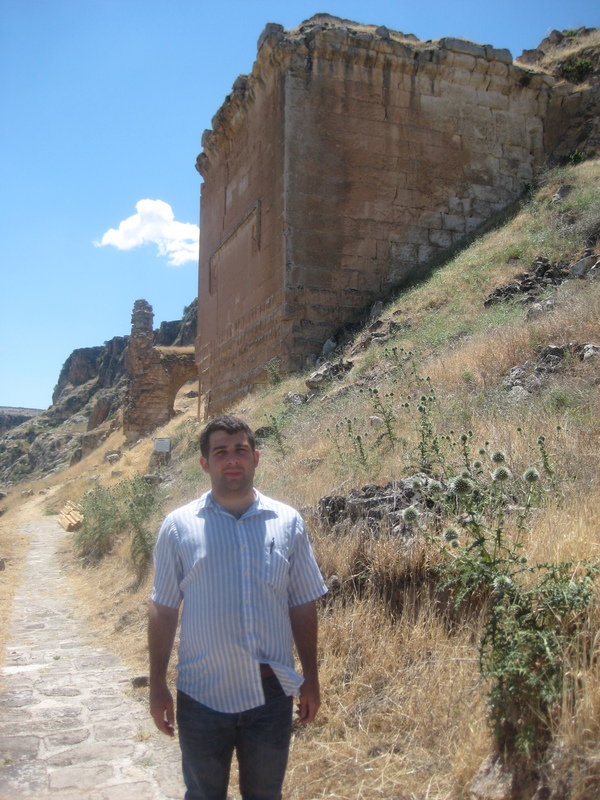 Deacon Christopher Sheklian at the Armenian fortress of Hromkla in Turkey. He will lecture at the annual Saints Vartanants commemoration at the Armenian Diocese in New York. Deacon Shekian is a native of California, having been raised in St. Mary Armenian Church in Yettem, in the Central Valley. He spent the 2011-2012 academic year at St. Nersess Armenian Seminary studying Armenian theology and Armenian Christian culture. Several of his current scholarly projects stem from the instruction he received there. Deacon Sheklian will speak during a commemorative banquet to which the public is invited. Donation for the dinner is $25 for adults and $10 for children 10 and under. Guests are also warmly encouraged to participate in the Divine Liturgy, which will be celebrated at 6:00PM. « Martyrs in the 20th Century. Martyrs in the 1st Century.